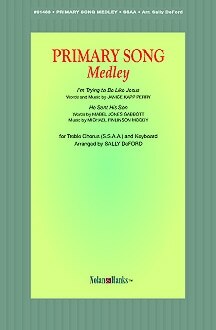 The scoop on the SSAA Primary medley (and the missing chord!) for the October’s 2012 General Women’s Conference of the LDS Church. Some simple things I learned from my mother. To celebrate Mother’s Day Eve, I thought I’d share a couple of favorite videos. “O Tidings of Comfort and Joy,” a medley of the traditional French carol “Sing We Now of Christmas” and the traditional English carol “God Rest Ye Merry, Gentlemen,” arranged by Betsy Lee Bailey. This one is great fun!